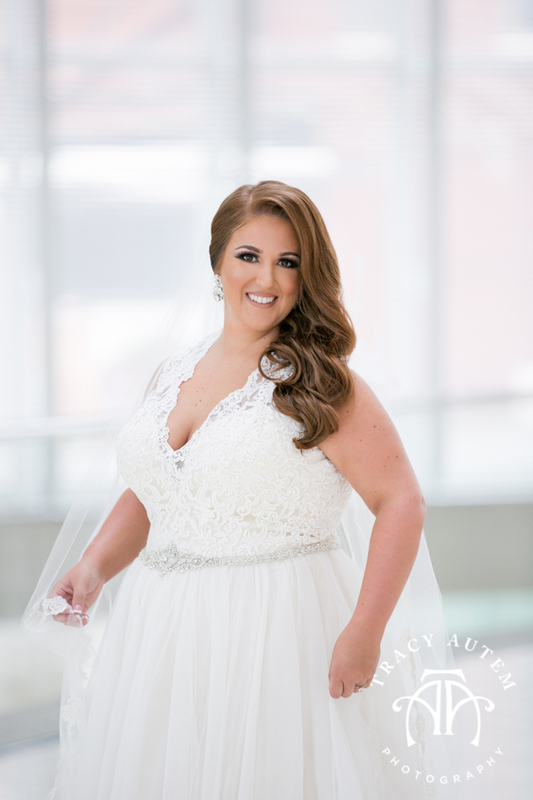 Britny is a stunner – like I am super jealous of her flawless skin and gorgeous eyes! 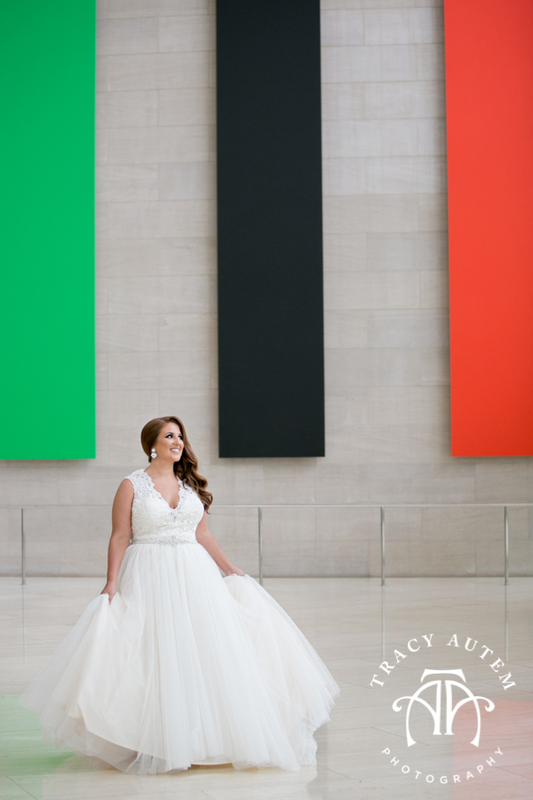 Britny and Aman had a 2 day wedding event with a traditional Indian wedding followed by a more contemporary ceremony the next day. 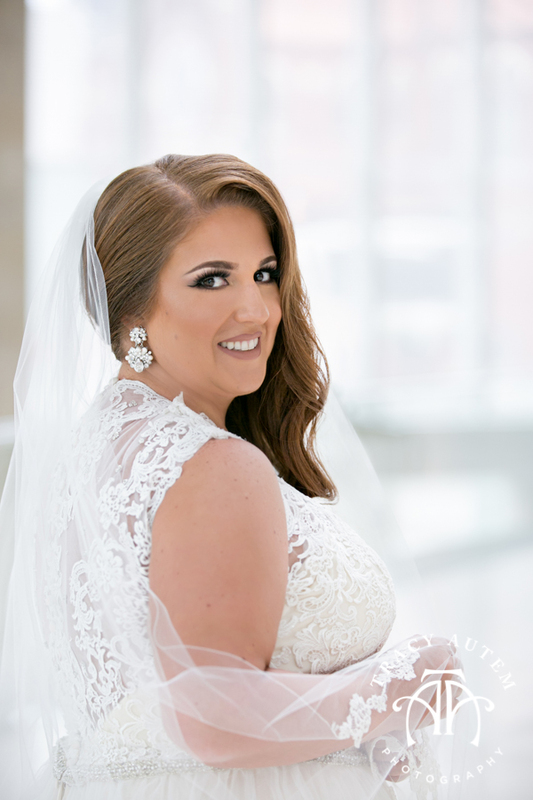 Britny looked like a princess both days though and I love her Lace cap sleeved gown from Bliss Bridal with cathedral length veil. 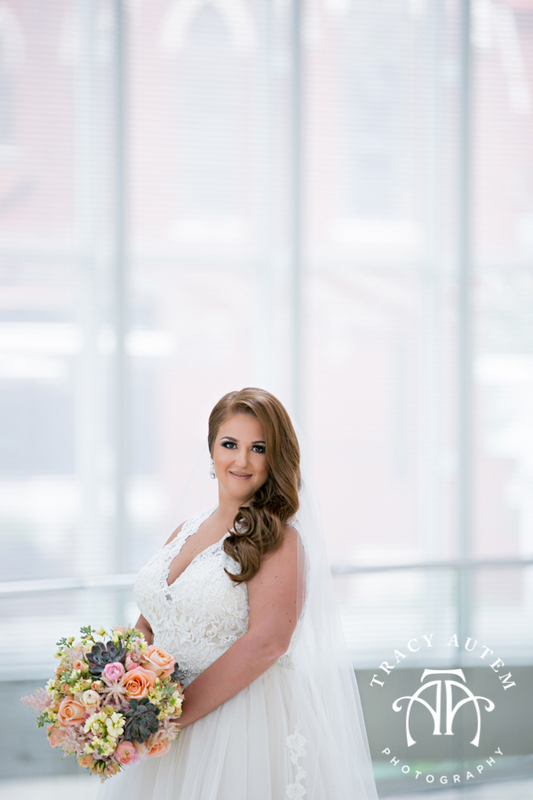 Her hair, pulled to one side, just made her look feel like old hollywood and oh so glamourous. 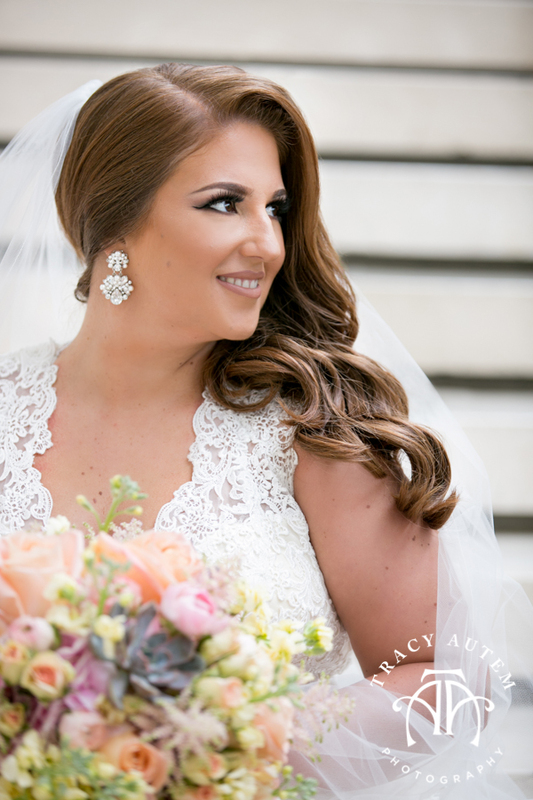 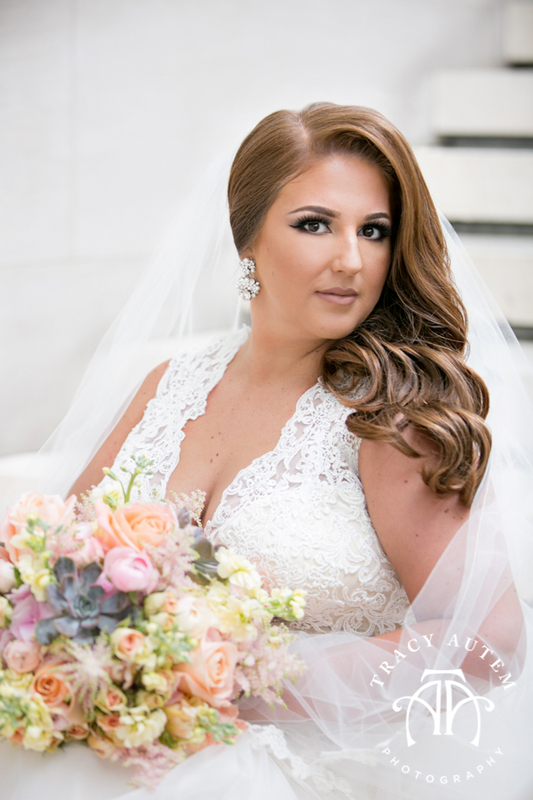 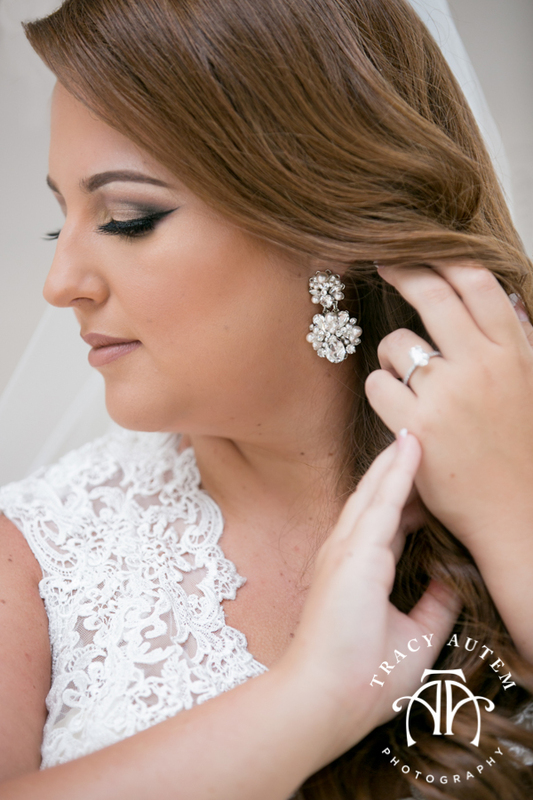 Her bright and colorful bouquet had so much texture and reflected the fun and elegant vibe that her wedding had. 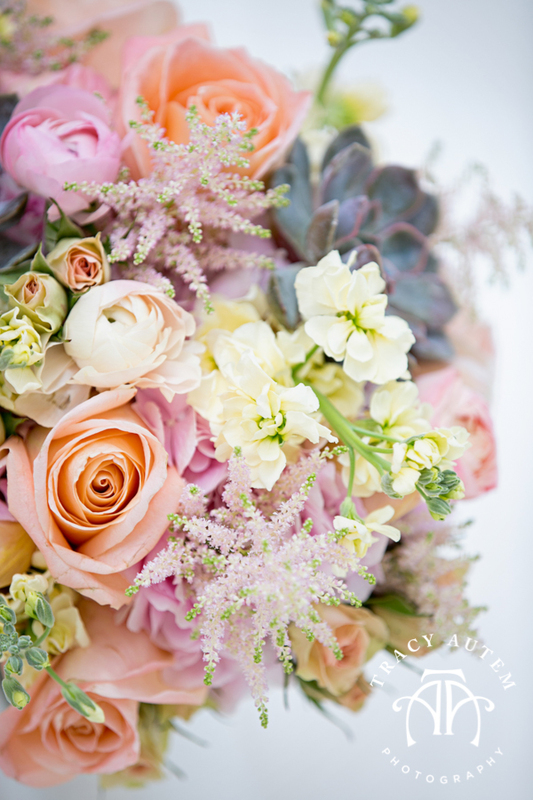 Tami Winn always knocks it out of the park on flowers! 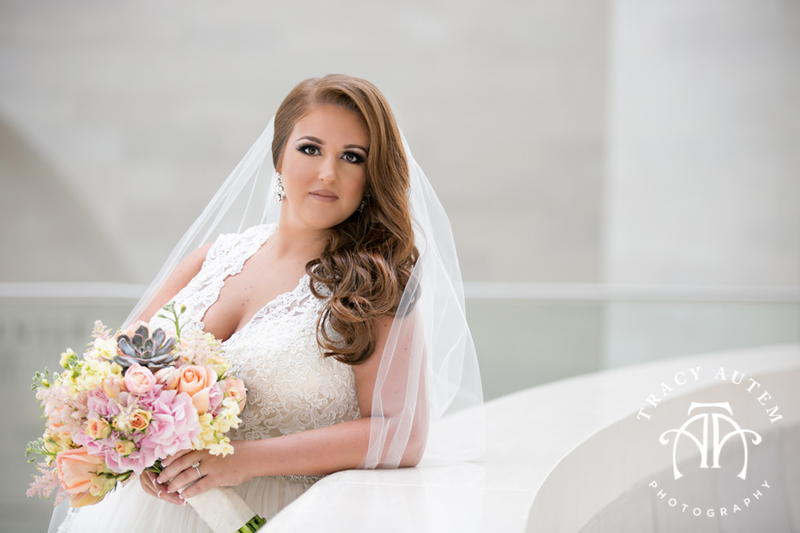 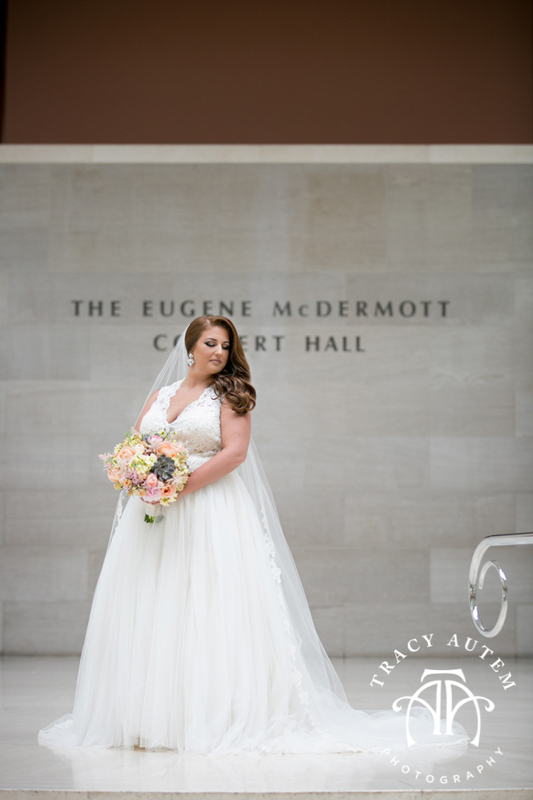 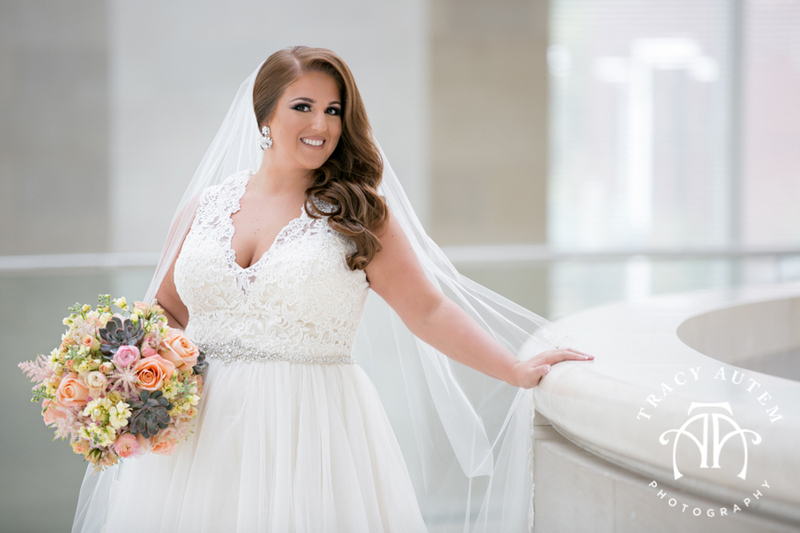 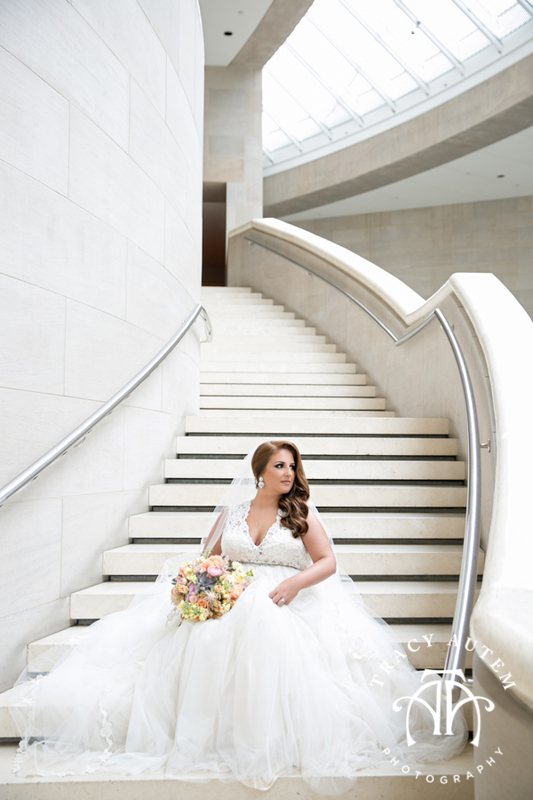 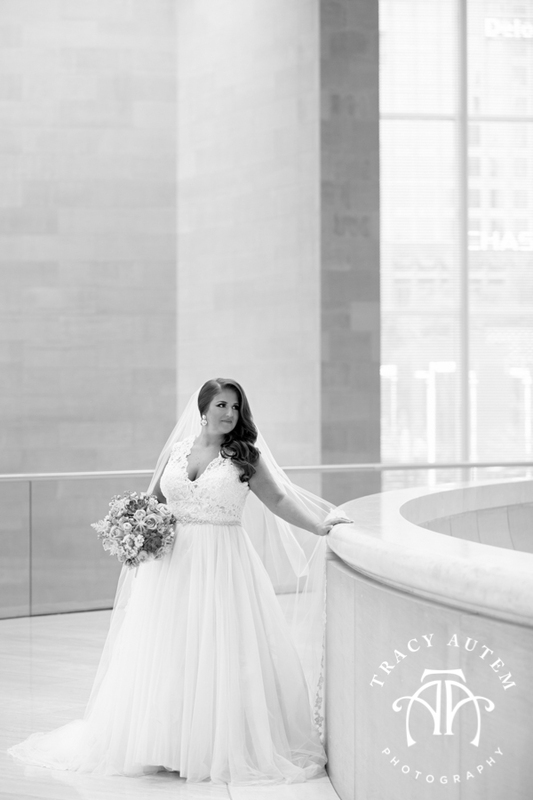 For her bridals we selected the Meyerson Symphony Center in Dallas for its light bright and airy architecture with clean and modern lines. 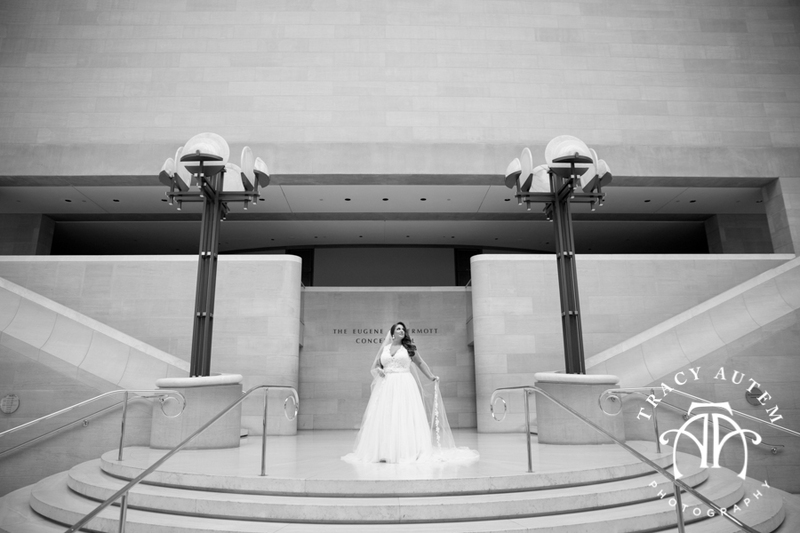 Although a contemporary space it is elegant and classic and one of my very favorite places to photograph brides! 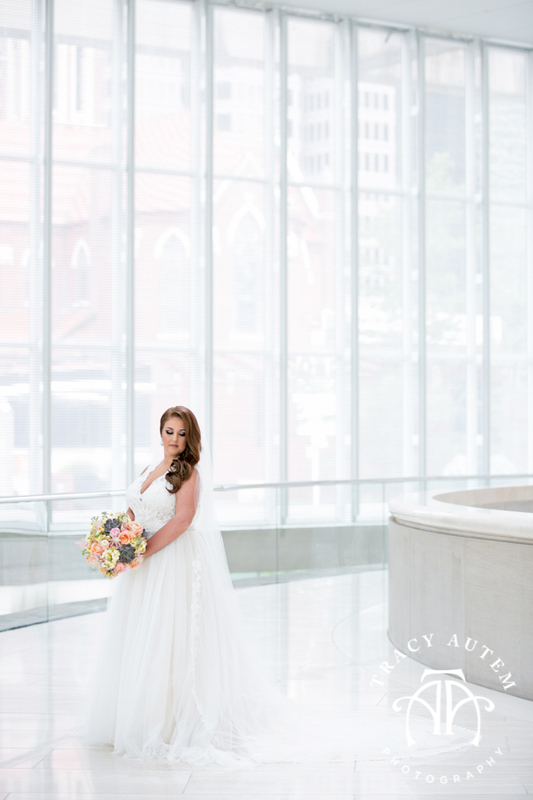 Even on a rainy day this place is heaven inside for light! 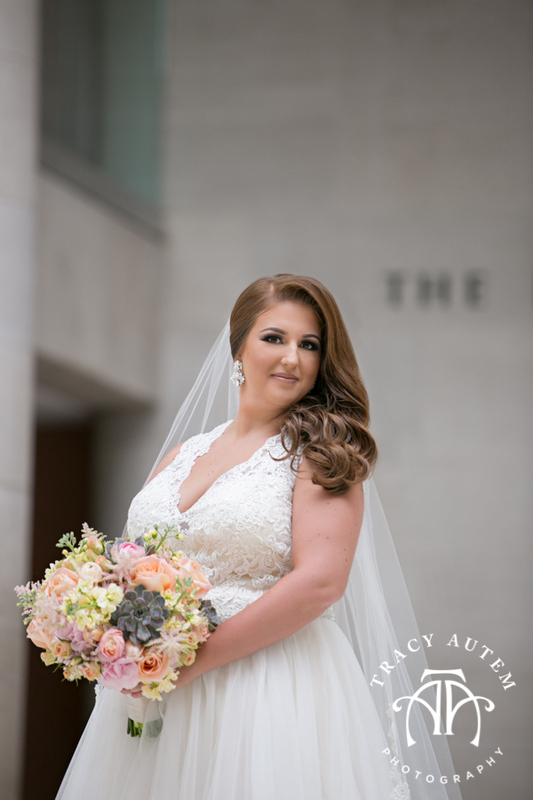 To see more of this lovely lady and her wedding fun check out her blogs featuring her Indian and American wedding ceremonies!